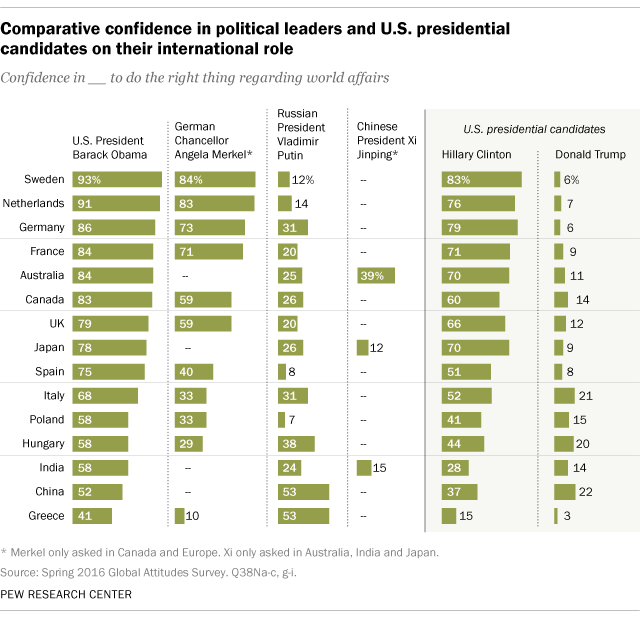 Some interesting data points here: Obama polls better abroad than in the US; Astonishingly, Trump polls below Vladimir Putin . . .